Wri: J. M. Arlaud, Henri Vernes, based on his novels. Regular Cast: Claude Titre (Bob Morane), Billy Kearns (Bill Ballantine). Story: Morane embarks on a Middle-Eastern adventure. Note: Based on Book No.17 (1956). Story: Morane goes after an underwater treasure. Note: Based on Book No.2 (1954). Note: Based on Book No.6 (1954). Story: Morane vs. the Mafia. Note: Based on Book No.21 (1957). Story: A hidden graveyard of dinosaurs. Note: Based on Book No.10 (1955). Story: Morane fights an opium ring. Note: Based on Book No.23 (1957). Story: Morane goes after a wild horse. Note: Based on Book No.44 (1960). Story: Morane discovers a lost Egyptian temple. Note: Based on Book No.46 (1961). Story: Morane defeats a famous pirate. Note: Based on Book No.47 (1961). Story: A fake dragon is used to commit a crime. Note: Based on Book No.48 (1961). Story: Morane fights a ring of smugglers. Note: Adapted from Book No. 49: Trafic aux Caraïbes (Traffic in the Caribbean, 1961). Story: A gang of villains use controlled lightning as their weapon. Note: Based on Book No.54 (1962). Story: Morane defeats a Chinese Tong. Note: Based on Book No.55 (1962). Story: A Mynah bird has been taught secret information. Note: Based on Book No.56 (1962). Story: Morane fights a gang of pirates. Note: Based on Book No.52 (1962). Story: in Hong Kong, Morane searches for a valuable necklace. Note: Based on Book No.61 (1963). Story: Morane prevents a kidnapping. Note: Based on Book No. 64 (1964). Story: Morane prevents a revolution. Note: Based on Book No.66 (1964). Story: Morane accepts a suicide mission. Note: Based on Book No.70 (1964). Story: Morane transports an invaluable rocket part. 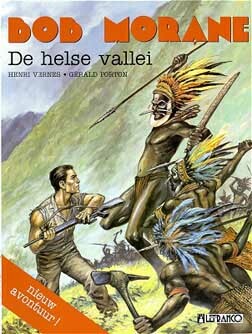 Note: Based on Book No.16: Mission pour Thulé (Mission for Thule, 1956). Story: Morane protects a schoolteacher who witenessed a crime (new story). Story: Morane thwarts a plot among the Gypsies (new story). Story: Morane impersonates an escape artist (new story). Story: Morane prevents a political assassination (new story). Story: Morane exposes a criminal (new story). Story: Morane thwarts a sabotage ring (new story). Story: Based on Book No.39 (1960). Voices: Jacques Beretti (Bob Morane). 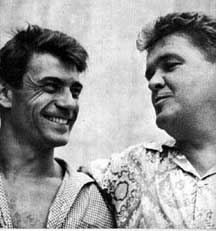 Voices: Claude Titre (Bob Morane), Billy Kearns (Bill Ballantine). Voices: Jean Berger (Bob Morane), Billy Kearns (Bill Ballantine), Arlette Thomas, Jean Topart. Story: Bob, Bill and Miss Ylang-Ylang investigate a crashed alien sip in the Amazon. 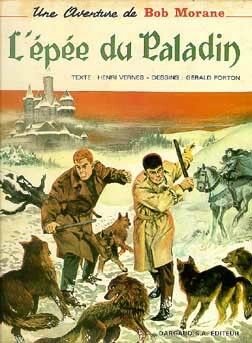 Note: Based on Commando Épouvante (Book 100; 1970). Voices: Ronald Gutman (Bob Morane). Voices: Eric Delhaye (Bob Morane). Story: Based on Book No. 71 (1965). Story: Based on Book No. 74 (1965). Story: Based on Book No. 153 (1980). Story: Based on Book No. 20 (1957). Story: Based on Book No. 60 (1963). Story: Based on Book No. 69 (1964). Story: Based on Book No. 62 (1963). Story: Based on Books No. 30-31 (1958). Story: Based on Book No. 54 (1962). Story: Based on Book No. 79 (1966). Story: Based on Book No. 80 (1966). Story: Based on Book No. 33 (1959). Story: Based on Book No. 35 (1959). Story: Based on Graphic Novel No. 8 (1967). Story: Based on Book No. 37 (1959). Story: Based on Book No. 38 (1960). Story: Based on Graphic Novel No. 3 (1962). Story: Based on Book No. 100 (1970). Wri: Yves Coulon, Béatrice Marthouret. Story: Based on Book No. 43 (1960). Story: Based on Graphic Novel No. 11 (1970). Story: Based on Book No. 106 (1971). Story: Based on Book No. 14 (1956). Wri: Lucie Lortie, Peter Lanbecker, Louise Roy. Story: Based on Book No.127 (1974). Story: Based on Book No. 130 (1975). Story: Based on Book No. 134 (1976). Story: Based on Books No. 141, 146 (1979). 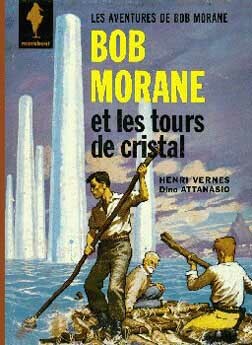 Note: Also see Bob Morane Classics. Dino Attanasio is an Italian artist. Note: Also see Bob Morane Classics. Art: William Vance (William Van Cutsem). Note: Francisco Coria is a Spanish artist. 58. See Bob Morane Classics. 60. 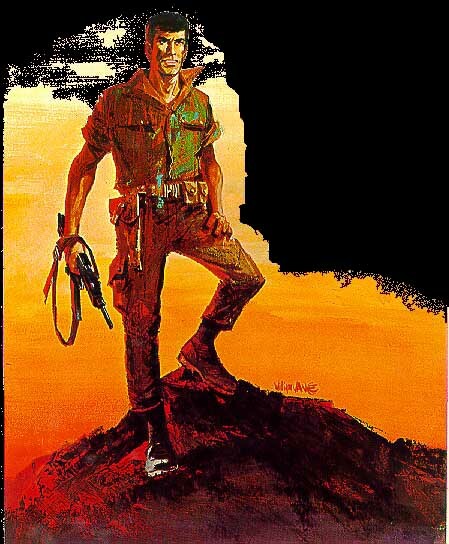 See Bob Morane Classics. 63. 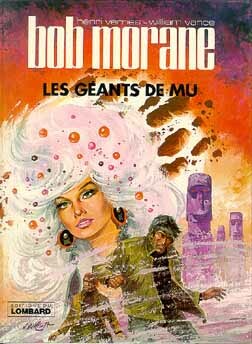 See Bob Morane Classics. 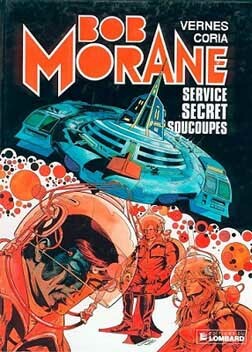 Note: New "old" adventures of Bob Morane taking plce earler in the series, drawn by the original artists.